Hums of Faith Suris is a farm located in Oconto, Wisconsin owned by Jim & Laurie Konyn. We at Hums of Faith Suris are committed to being a breeding farm raising beautiful, lustrous Suris comforming to the Suri Network breed standard. Our goal is to produce suris with fiber that is high in density, having a low micron variation, a high secondary/primary ratio and high luster. We use both skin biopsy results and epd results in our breeding program. 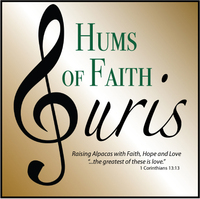 Welcome to Hums of Faith Suris farm, located on 6.2 beautiful acres in northern Wisconsin, 30 minutes north of Green Bay, WI and 2 miles west of Oconto, WI. 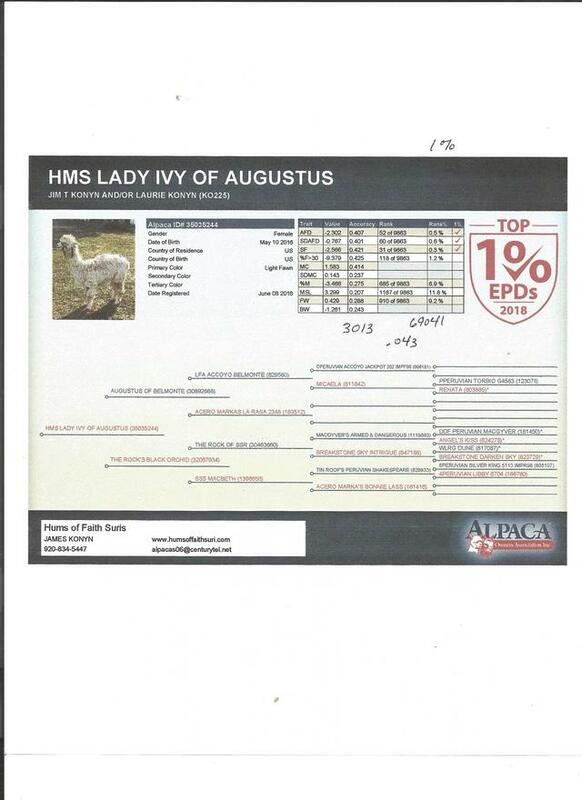 We are dedicated to raising Suri alpacas using the AOA epd information and Skin Biopsy results. 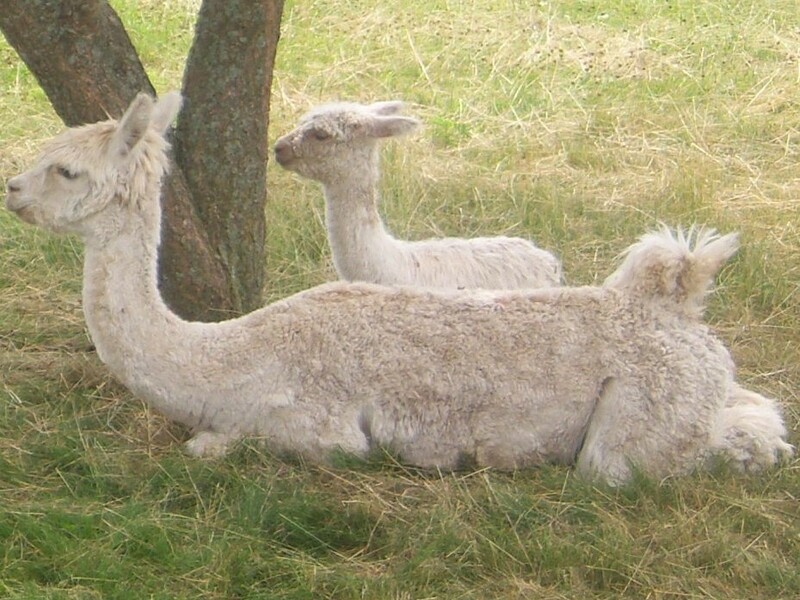 Our goals are to produce Suri alpacas that have high luster, heavy blankets and great conformation with low micron variation. We want our females to be high milk producers and great mothers. We look for our studs to be strong breeders. Our goal is to have micron counts of 27 or less on our animals. 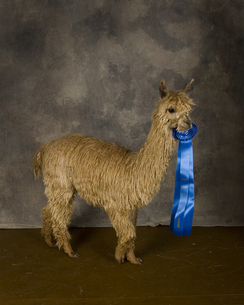 We thoughtfully match our females with the best male to produce a cria meeting our expectations. Our main focus is on quality and improving each generation. Check out our animals skin biopsy and epd results. At present six of our animals rank in the top 1% in epd results. We truly enjoy the daily experiences of working with our small herd and learning about these extraordinary animals and being able to share with other breeders, soon-to-be customers and friends. We extend an open invitation to visit our farm. 50% down with signed contract. Full payment before taking possession of the alpaca. 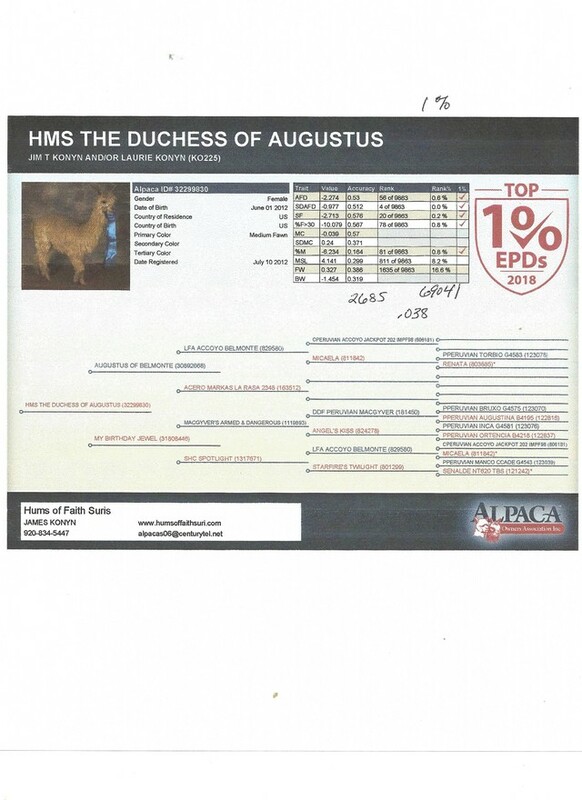 AOA certificate will be delivered to buyer upon full payment of the alpaca. 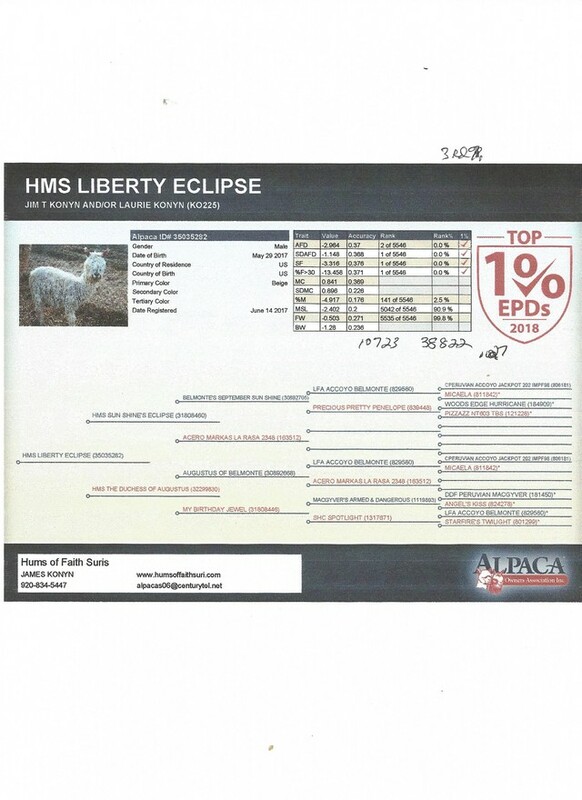 Any alpaca selling for under $1000, the AOA certificate will be given to buyer to transfer. All sales over $1000, seller will pay for transfer to new owner. After full payment is received, a monthly boarding fee would apply, if new owner prefers to wait to pick up purchase. Details would be covered in purchase contract and agreed to prior to sale.